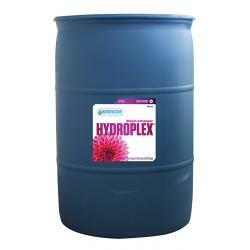 Hydroplex 0-10-6 is a premium, plant nutrient supplement formulated to push your crops to their harvest limits. 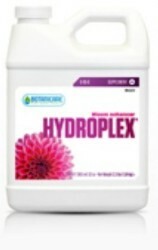 Hydroplex Bloom Maximizer works with your existing nutrient formula to create big, brilliant, blooms. The flowering stage creates a very demanding environment for plants. 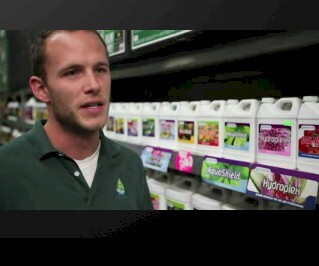 Plants need more than just the P's and K's to reach their ultimate potential. That's why Hydroplex Bloom Maximizer contains a broad range of amino acids, additional trace minerals, and select, beneficial vitamins. Most standard PK boosters are structured, simply, to create larger fruits and flowers. 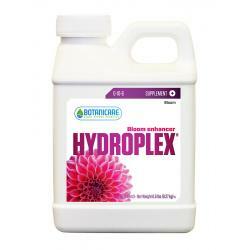 Hydroplex Bloom Maximizer surpasses that standard by increasing plants resistance to external stresses while amplifying enzyme, chlorophyll, essential oil, and sugar production. 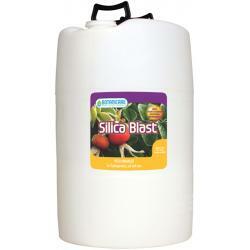 Derived from: Monopotassium phosphate, potassium borate, potassium molybdate, phosphoric acid, Magnesium sulfate. During the fruiting / flowering phase, use 1/2 - 1 teaspoon (2-5 ml) per gallon (4 l) of water depending on overall health and size of plants. 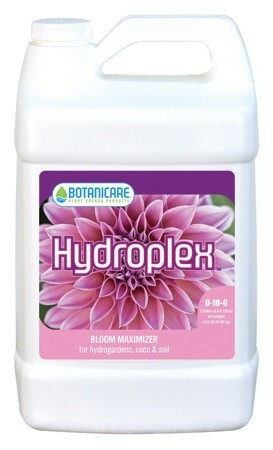 Use each time you water with Botanicare nutrients or your preferred nutrient program. *Slowly raise dilution rates as needed.